Geneva insurance company was founded in the year 1922 in order to meet the insurance needs for building contractors and construction companies. The company started its operations initially in Germany, later it moved to North America and established a name for itself in the insurance sector. The year 1983 saw the company being brought by the Wichita Mutual group, and then began the expansionary phase of the company. The insurance firm has been unable to bring improvement in its business process and practise in the past, the case study demonstrates how it failed to implement and execute TQM with much of effectiveness and efficiency. Much later, it was Tyko Mattson, who while attending one of the conferences while being on work, came across Six Sigma Programme for Operation excellence. It was the determination of Tyko who wanted to bring improvement in the existing operation at GCR, that gotten together every employee working in the organization to have an open perspective about the Six Sigma Programme. The intent of the report here is to analyse and understand the case study and the answer the question pertaining to the existing process in place, the new initiatives of operations management, risk management, control problems and more so. The report by answering these five questions will provide the user a good and thorough understanding of Risk Management, Operations Excellence, TQM, Six Sigma and other important concepts related to brining improvement in the business process and systems. Question 1: What do we mean by Risk Management and what is the importance of undertaking this concept? Briefly discuss what key organizational activities require risk management procedures and processes. 1. Identification of Risk- Identification of what could possible get wrong in the business. 2. Analysis of Risk-This stage involves analysing the risk in detail and understanding its potential impact on the business. 3. Risk Control- How the risk can be contained in the business to allow for lesser damage on operation or profitability of the business. 4. Risk Treatment-This is the stage when the risk has actually occurred, and how does the organization deal with the risk (Laudon & Laudon, 2016). 1. Commitment and dedication from all the staff working at all the levels in the business organization. 2. Establishment of the policies and procedures for all the staff working in the organization. 3. Clear and well defined roles, responsibilities and accountability of all the employees. 4. Allocation of adequate resources and tools towards the risk management plan. 5. Continuous training, testing, monitoring and evaluation of the risk management plan. 1. As risk management plan or process is a precursor to the actual risk, thus it helps to save a lot of time, cost, resources, assets and claims for the business organization. 2. Helps in creating a safe and secure environment for all the people working in the organization. 3. It also helps in safeguarding and protecting the environment. 4. Helps significantly in reducing the legal liability as well as helps in increasing the stability of the business operations (Haimes, 2015). As mentioned earlier in the section, risk management is a proactive measure or step which is undertaken by business organization to ensure that its business operation, financial stability, safety and security and other important activities are not compromised (Lundgren & McMakin, 2018). 1. Business operations- Operation is one of the key activity of any business organization, and it is the activity which is the most affected by the risk. Thus, businesses have to come up with a risk management plan to better manage the business operation risk (McNeil, Frey & Embrechts, 2015). 2. Health and Safety of the employees-Employees are the biggest asset of any organization, thus it is important that business takes care of the security and safety of the employees by bringing proper measures of health safety and hazard in the business (Nicholas & Steyn, 2017). 3. Financial Projections- One of the biggest uncertainty in the business is the financial risk, thus it is important to focus on the financial projection and apportion some percentage to possibility of financial risk (Sekaran & Bougie, 2016). Besides these other business function or activities such as strategic planning, business planning, future business projection and other activities also encompass risk management process. Question 2: Briefly discuss, from the case study above, how historical major failures were managed in terms of a ‘HOT’ analysis- The three dimensions of human error, organizational error and technological error. The case study titled- Geneva Construction and Risk talks about different improvement programs implemented in the organization. The case study talks in depth about the TQM process and Six sigma implementation at the organization, and how these improvement processes found utility and adoption in the construction and risk insurance company. The employees working in the organization initially were really pumped up with the improvement process in the form of Total Quality management. The quality committee was created by bringing in employees from the entire department, which was pretty logical as it allows for participation and improvement in the entire department in the business organization. Additionally, in order to give impetus to the quality management team, decision making power was also handed to the team. In order to encourage implementation of TQM, the management also gave away quality awards to people bringing improvements in the system. However, people just got bored to the process and system of TQM and started neglecting the process, police and procedures laid down by TQM. It has also been mentioned that not all employees working in the organization were excited with TQM. A lot of resistance was faced by the middle level management and the supervisors who did not really brought into the TQM. Thus, due to this human error in understanding the rationale behind TQM, and their resistance to participate in the improvement process lead to fading of TQM in the early 1990s (Moray, 2018). Technologically, the process of TQM was simple to implement, used scientific process of implementation and monitoring of the improvement in business departments and processes. However, TQM was seen as something which was out of place with the normal business life, therefore it was getting difficult to manage it technologically and engage people with the improvements (Endsley, 2016). Moreover, at the very same time, the middle level management did not quite approve of the process, thus making it difficult technologically for the team at Geneva insurance and risk. It was also said that TQM process was good for implementing in the head office, however in practice it did not find much of utility in the actual field. Thus, even technologically, TQM failed to create an impact. And the process was a colossal failure owing to all three errors, namely human, organization and technological error (Strauch, 2017). Question 3: Identify and briefly discuss the operational risks that Geneva construction faced during its expansionary stage? Classify these risks according to the causes of risks discussed in the class and critically evaluate the basis of clarification. As mentioned earlier that insurance is a very competitive field , and despite GCR now being part of a much bigger group, its trouble related to competition still remains quite strong. The risk of competition is related to other players getting into the markets of GCR, causing it a revenue loss. All business have completion risk, but the insurance industry according to Porter 5 forces model has low barriers of entry, thus establishing the critical of this strategic risk(Hirst, Thompson & Bromley, 2015). Underwriting by far is another common risk for the organization in the insurance industry. Underwriting risk can be seen as the risk from losses from selection and approval of the risks to be insured. These losses also arise if the rules of underwriting are inappropriate for certain situations or if they are less detailed or specific which may point towards good underwriting discipline. Organization as a part of its risk management strategy keeps Underwriting as the prime skill for the employee working at GCR (Bromiley et. al., 2015). This is another critical risks which was faced by GCR during its expansionary stage, and while setting up an indispensable name in the insurance market. This is the risk which every insurance organization must stay wary of, as it is the risk of loss which is associated with the non-compliance of laws, rules, regulation and other practices of ethical standards within the jurisdiction of operation. Risk management or study of risk has become an important discipline in the present day. Businesses fail to identify with 100% confidence about the type of risk they might have to encounter in a normal day. Thus, GCR first came up with Total Quality management and later six sigma program to be prepared to better deal with any kind of uncertain risk it faces in the future (Muhlnickel & Weis, 2015). Thus, these are some of the risks faced by GCR during its expansionary stage, and it is only the proactive approach here which can work in the favour of GCR in combating the risks. Question 4: What are the initiatives that Tyko Mattson implemented to combat risk? One of the biggest work of Tyko Mattson which can be seen as a preamble to his initiatives to combat risk was related to his gradualist approach which were inclined towards the three pronged attack on revenue, costs and risk impressed the management board by and large. It has been mentioned in the case study that the implementation plan of six sigma at GCR was most definitely not an easy task. It required large amount of process data to bring improvement in the monitoring process which would lead to operational efficiency. Tyko ensured that he provided for clarity in system and process to data to combat the risks of the uncertain times. Implementing six sigma in its natural state would not be feasible enough; hence, Tyko recommended that six sigma implementation happens in a structured way, where the objectives of GCR would perfectly fit within the environment. Only then benefits of six sigma can be realized at GCR. The only business process improvement initiative at GCR initially was TQM, which however failed to create an ever lasting impact on the organization. Hence, it was required that GCR is equipped and had all the resources human, physical, financial to implement six sigma and combat the risk GCR can face. Hence, due to in experience in six sigma implementation, there was a need of external partner who can provide trainings and ensure that GCR has sufficient internal and external experience with six sigma and it can effectively bring an improvement in its operations process. 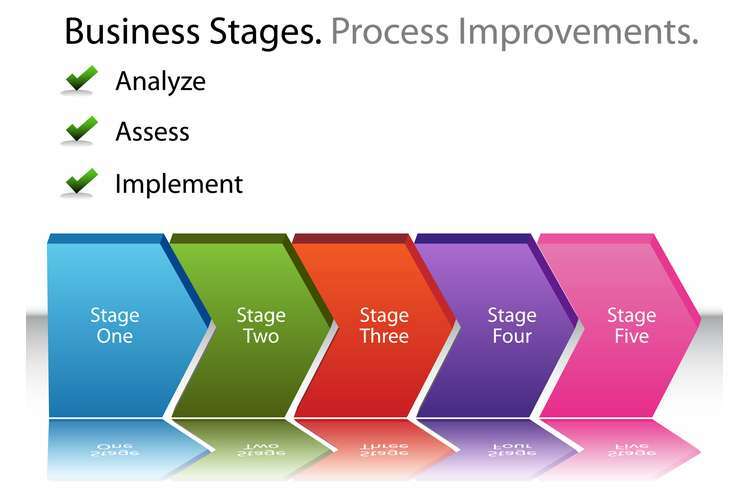 Six sigma implementation is a gradual process, and the organization moves from one level to another only and only it has mastered the previous levels of process improvements. Hence, it becomes extremely critical to track the progress of the six sigma implementation at GCR to effectively combat the contingent nature of risk. Also, in order to move from level 2 to 3 Sigma to level 3 to 4 sigma different approaches and resources have to be deployed and used to ensure the effectiveness of the process and its execution and implementation at GCR. One of the very big advantage which comes along with six sigma implementation is related to tasks such as quantifying the potential benefits of the process, ascertaining the worth of the investment or its proposition and also estimating the risk which comes along with the implementation of six sigma at various levels. Thus, a proactive approach adopted by Tyko was extremely helpful in ascertain the potential pitfall in implementing the six sigma at the organization. Six sigma is a great initiative which was brought to GCR by Tyko Mattson, and it was brought with an intention of doing what TQM could not achieve for the company. Six Sigma historically has been known to bring continuous business improvement in the process which would help the company perform at six sigma level operationally. At the very same time, it is important to keep the methods simple and so the objectives, making the objectives complex will drain down the results six sigma can potentially bring along with it and reform the organization. Thus, these are some of the initiatives or one could say Tyko Mattson’s bold and Cogent move to introduce Six Sigma in the organization and improve the business performance. Question 5: When implementing their strategy, Geneva Construction experienced control problems both before and after the implementation. Identify these control problems and critically evaluate the organization’s response to these problems. Geneva Construction agency had a simple yet effective strategy which was inclined to improve its business operation to make the organization yield more profits, revenue and be a leading insurance firm in the industry. Thus, all the efforts of the management and Tyko Mattson, may it be related to TQM or Six Sigma implementation was with the intention of improving the business performance. However, the company was unable to reap the benefits of the TQM due to the control problem, and the response of it eventually lead to implementation of six sigma at GCR. The company was on a massive expansion spree especially after it was bought by Wichita Mutual Group and thus the need of the hour was to ensure a proper system in place. The company has been working in high risk areas such as underwriting, loss adjusters, contractor failure, delay in project, project litigation and others. Hence, in order to stay wary from such risks and to ensure that GCR is able to provide effective services to its esteemed client, improvement was much required in the firm. Thus, Total Quality Management or TQM was implemented to control the problem faced by the firm and to also create a risk management strategy. TQM was initially applauded by the management as the quality management technique had a lot to offer and improve the business performance of GCR. The only major problem with TQM was related to it was being managed by top, in actual it should have been controlled and managed by the people who are actually involved in it. However, the technique helped in setting up a culture of improvement practices in the organization, and in order to give impetus to it plenty of award nights were organized and certificate of merit were given to various employees and department for the TQM process implementation and ensuring the sustenance of the same. However, in the very end, people got sick and tired of the process and stopped sending reports, implementing in daily operation and so a good technique was wasted due to poor implementation. Tyko Mattson as the newly appointed Champion at Geneva construction was the pioneer of bringing improvement in the organization by introducing six sigma implementation at the firm. It was cogency of Tyko to identify the potential of six sigma and the impact it can create for the business and bring a considerable improvement in its business process and performance. Tyko convinced the management and ensured that the firm does not repeat the same mistake as they did with TQM. Thus, in order to do so, Tyko created a team of internal and external partner who can help GCR in implementing a fool proof six sigma program whilst providing training to the employees and make them understand the rationale behind the business process improvement process. Thus, it can be said that management’s response to failure of TQM to tackle the control problem was subsided with the implementation of six sigma at GCR. Defining the objectives clearly for each and every department and data from these departments to be analysed and reviewed by the pilot team for six sigma implementation. Clearly laid objectives for all the department will help in mindfully tackling the risk faced by GCR and also bring improvement in the business process. Implementing six sigma is not necessarily solving simple problems with complex solution or methods. The motto here is to keep the things simple, use logically and scientifically most feasible solution to the problem, and implement it. Six Sigma implementation to have implication on all the possible department and majority of the employees working in the firm, thus it is recommended that every employee is involved with the implementation, training and execution of the six sigma program at GCR. Six Sigma Pilot programme is first of its kind at GCR, thus it is recommended to get external partners on board who can help in execution of the project at ease, whilst giving training to the employees working in the firm. These external partners thus will create a base for GCR to further bring improvements in its business process and practices. Towards the end, the report can be brought to a logical conclusion by stating that every business organization in its tenure faced a lot of risk which are different in nature. The underlying objective here is to create a proactive strategy to handle those risks effectively and also to ensure that continuous business improvement becomes the culture of organization. 1. Bromiley, P., McShane, M., Nair, A., & Rustambekov, E. (2015). Enterprise risk management: Review, critique, and research directions. Long range planning, 48(4), 265-276. 2. Endsley, M. R. (2016). Designing for situation awareness: An approach to user-centered design. CRC press. 3. Haimes, Y. Y. (2015). Risk modeling, assessment, and management. John Wiley & Sons. 4. Hirst, P., Thompson, G., & Bromley, S. (2015). Globalization in question. John Wiley & Sons. 5. Hopkin, P. (2018). Fundamentals of risk management: understanding, evaluating and implementing effective risk management. Kogan Page Publishers. 6. Kerzner, H., & Kerzner, H. R. (2017). Project management: a systems approach to planning, scheduling, and controlling. John Wiley & Sons. 8. Lundgren, R. E., & McMakin, A. H. (2018). Risk communication: A handbook for communicating environmental, safety, and health risks. John Wiley & Sons. 9. Malliaris, A. G., Shaw, L., & Shefrin, H. (Eds.). (2016). The Global Financial Crisis and Its Aftermath: Hidden Factors in the Meltdown. Oxford University Press. 10. Maurino, D. E., Reason, J., Johnston, N., & Lee, R. B. (2017). Beyond aviation human factors: Safety in high technology systems. Routledge. 11. McNeil, A. J., Frey, R., & Embrechts, P. (2015). Quantitative Risk Management: Concepts, Techniques and Tools-revised edition. Princeton university press. 12. Moray, N. (2018). Error reduction as a systems problem. In Human error in medicine (pp. 67-91). CRC Press. 13. Mühlnickel, J., & Weiß, G. N. (2015). Consolidation and systemic risk in the international insurance industry. Journal of Financial Stability, 18, 187-202. 14. Nicholas, J. M., & Steyn, H. (2017). Project management for engineering, business and technology. Routledge. 15. Reason, J., & Hobbs, A. (2017). Managing maintenance error: a practical guide. CRC Press. 16. Sekaran, U., & Bougie, R. (2016). Research methods for business: A skill building approach. John Wiley & Sons. 17. Stockhammer, E. (2015). Rising inequality as a cause of the present crisis. Cambridge Journal of Economics, 39(3), 935-958. 18. Strauch, B. (2017). Investigating human error: Incidents, accidents, and complex systems. CRC Press.